Berlin Quarterly’s seventh issue opens with a work of fiction by Ukraine’s leading contemporary writer Oksana Zabuzhko. Nina Murray translates the story, which reflects on the Orange Revolution, here for the first time. In a second fiction piece excerpted from his debut novel Aberrant, Czech author Marek Sindelka weaves a fantastic genre-bending tale of crime fiction, horror, botany, and Siberian shamanism. In a long-form reportage, William Ralston presents the history behind Romania’s minimal electronic music scene, tracing the genre’s journey from clandestine parties and pirated tapes under a communist dictatorship to international prestige. Ralston speaks to the seminal artists of the scene, many of whom have never previously given interviews. This issue features two sections of poetry in both English and their original languages. Mark Tardi guest curates a special selection of Polish poetry by Monika Mosiewicz, Kacper Bartczak, and Przemysław Owczarek. Nathaniel Rudavsky-Brody introduces and translates an excerpt of Ulysses by Benjamin Fondane, a Romanian poet and philosopher who wrote in Paris in the early twentieth century before he was deported and murdered in Auschwitz. 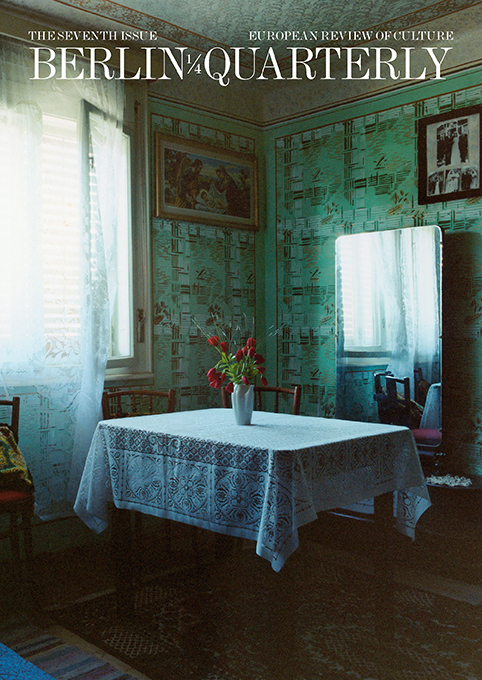 Beatrice Minda’s intimate photography artfully documents the homes of Romanians. Some portraits are taken within the country, while others capture the homes of Romanians abroad; either exiled from communism or employed in France as migrant workers. The issue concludes with a portfolio by internationally renowned artist and Guggenheim fellow Taryn Simon. In this multidisciplinary project the artist recreates and then dries floral arrangements that adorned the tables during (in)famous international treaty-signing ceremonies.